Verlen G. Rufenacht, 68, passed away following surgery at Lancaster General Hospital, Wednesday, September 19, 2018. He was born in Wauseon, OH to Olen and Viola Rufenacht. An educator, he taught at Lancaster Mennonite Schools for 36 years. He is survived by three sisters, Mary Louise Lehman, (Wilmer), Harrisonburg, VA, Helen Hofstetter, (Clint), Apple Creek, OH, Geneva Rufenacht, (Mel), Lititz, PA, twin brother Verle Rufenacht, Mount Joy, PA, and nieces and nephews. Family and friends were important to Verlen. A Memorial Service will take place Tuesday, September 25, 2018, 6:30 p.m. at Blossom Hill Mennonite Church, 333 Delp Road, Lancaster, PA. There will be no visitation. Friends may greet family members after the service in the Fellowship Hall. Light refreshments will be available. I was saddened to hear of Verlen’s passing. Michael Frantz and I have lived next door to him since 1989. I was away, and did not know he was ill.
Verlen was a sweet, kind man with a lovely smile. I remember how happy he was when he retired, and he helped me count the months until it was my turn to retired. We often talked about his garden and flowers. May the Lord bless him, and may memories of happy times keep you in the difficult months to come. Sending my condolences to my Mother’s cousins and their families as you grieve your loss. I had Verlen as a teacher in high school (2008-2009). My mom also had him as a teacher. He truly cared about his students and went out of his way to help me succeed in FBLA (Future Business Leaders of America). I remember we planned a small retirement party for him during class one day and presented him with a rosebush that he was thrilled to be able to plant at his house. I am now a teacher myself and was saddened by the hearing of his passing. My condolences to the family. Verlen was such an enthusiastic teacher! He seemed ageless to me as he taught typing for me, and other business classes for my daughters. I will always remember the personal interest he took in his students. It is a shock to hear that this forever-young teacher has passed away. So sorry for the loss of another cousin. Sending love and prayers. We are sad to learn today of Verlen’s death, in a few short years after retirement began. 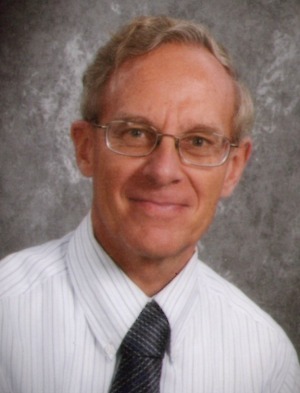 Orville appreciated working with Verlen at Lancaster Mennonite Schools during his travel years with the Mennonite Board of Education. We respected him as a friendly, caring person –interested in the lives and events of other people. May many good memories shared by your families and other friends and extended family people gathered for the memorial service on September 25 bring healing in this time of grief. Your family has been in our thoughts and prayers since we learned of Verlen’s passing. I hope you will find comfort as you share memories with each other during this time. My love and sympathy to each of you in the passing of Verlen. I have fond memories of him and you all as you grew up here in Ohio. Blessings to each of you! Our hearts are so sad! Your family has a big gap. You are now 4 . Verlen and Verle always made a point to sit with us at Blossom Hill and Geneva and Mel very welcoming. May you feel surrounded by the memories of Verlen’s kind and gentle spirit and the love of family and friends!! What a great loss! I regret that I cannot attend the service. May God give you comfort as you cherish precious memories of Verlen. Mike and I are saddened to learn of Verlen.s death. We pray for God’s comfort and peace to each of you as you grieve your loss. It came as a shock to me when I opened the newspaper and found Verlen’s obituary. My mind immediately went back to 1976 when I came from Ohio to teach at Lancaster Mennonite High. Verlen had already been here for one year, and we often huddled as he tried to explain to me these strange Lancaster ways!!! We always felt a bond because we were from Ohio. Interesting that we both made Lancaster our home. We had many good times together with the other young teachers and staff at LMH. I remember his chapel talk on Psalm 23. He is now in green pastures with the Good Shepherd. I was blessed by your family’s fond memories and wish you God’s comfort in the days ahead. I was deeply saddened to hear of Verlen’s passing. He and I became friends through our connection with FBLA as we were both long-time business teachers and veteran FBLA advisors. The two of us always teamed up to judge the annual Regional FBLA Typing competition. . We stayed connected somewhat after his retirement with a few e-mails and a couple of lunches. He came to mind several times this summer, and I was hoping to have a chance to meet up with him again in the Fall. I didn’t know he was ill. I will so miss his sweet smile and caring nature. Deepest condolences to all in his family. My husband and I are so sorry to hear about Verlen’s passing. We live on Fellowship Drive and used to talk to him, when he walked. We knew him as Bob. We just found out that he passed. We will miss seeing him. He was so gentle and kind. A lasting, positive impression was made on my husband and son, whose time at LMH spanned 30+ years. God speed.